When your gums aren’t as symmetrical as they should be because they cover more of some teeth than others, their appearance can throw your whole smile off. Fortunately, gum contouring can provide a highly effective solution for correcting a gummy smile by reshaping the line around your teeth. Patients in North Hollywood who wish to optimize their smiles’ appearance through gum contouring can often benefit from more advanced laser contouring, which can complete the procedure in less time and with significantly more precise results. Their appearance is the most obvious concern when it comes to excessive or uneven gum tissues. However, your dentist worries more about the potential complications that could arise with your oral and periodontal health if you don’t correct them. For example, when your gums aren’t even, you can’t clean the oral bacteria off your gum line as easily with your toothbrush and floss. This means the harmful microbes in plaque and tartar can more successfully work their way underneath your gums before you have a chance to stop them. Because of these potential consequences, contouring your gums not only gives your smile a cosmetic boost, but also improves your ability to properly care for your smile. When you choose laser contouring, those benefits are even more pronounced. Compared to traditional scalpel-based treatment, our specially calibrated BIOLASE® laser produces significantly more precise contouring, which generates more lifelike and cosmetically appealing results. The laser also makes bacteria elimination more successful during your procedure to lower your chances of gum infection or disease following your procedure. A gummy smile doesn’t have to be a lifelong nuisance, especially with the help of laser gum contouring. For more information, or to find out if laser gum contouring is right for you, schedule a consultation by calling Modern Smile in North Hollywood, CA, today at 818-763-9353. We also proudly serve patients who live in Burbank, Toluca Lake, and all surrounding communities. Technology has always played a significant part in the advancement of dental health care. For instance, X-rays and biocompatible materials (like composite resin) have been a routine part of dentistry for as long as they’ve been available. Today, the same is true for advanced laser technology. Using the innovative BIOLASE® laser, which is specially-calibrated to accomplish a variety of types of dental treatments at our North Hollywood office, we can help improve, restore, and preserve your smile with greater precision and comfort than traditional methods. 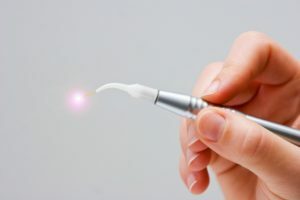 One of the more common dental treatments that utilize lasers is professional teeth-whitening, which involves using a safe but powerful solution to erase stains and brighten your tooth structure. Once the solution is applied, we can use the laser to stimulate it, causing it to actively erase your teeth stains faster and with more pronounced results. Laser teeth-whitening makes it possible to significantly brighten your smile in just a single visit to our office. Next to teeth-whitening, soft tissue treatments are also common applications for dental laser treatment. For instance, periodontal cleaning and maintenance, such as scaling and root planing, can also be accomplished more comfortably and with less trauma to surrounding tissues thanks to BIOLASE®. Compared to more traditional periodontal treatments, laser treatment ensures that your gums can heal properly and that your risks of more severe periodontal disease are properly mitigated. Besides gum disease, lasers are also a popular way to perform cosmetic gum contouring. Traditionally, the procedure is designed to correct excessive gum tissues by trimming them away with the use of a scalpel. While effective, the comfort and results of your procedure are significantly enhanced when it’s performed with our advanced laser rather than a traditional scalpel. With the help of our advanced BIOLASE® laser, we can perform a number of different treatments faster and with greater comfort than ever before. 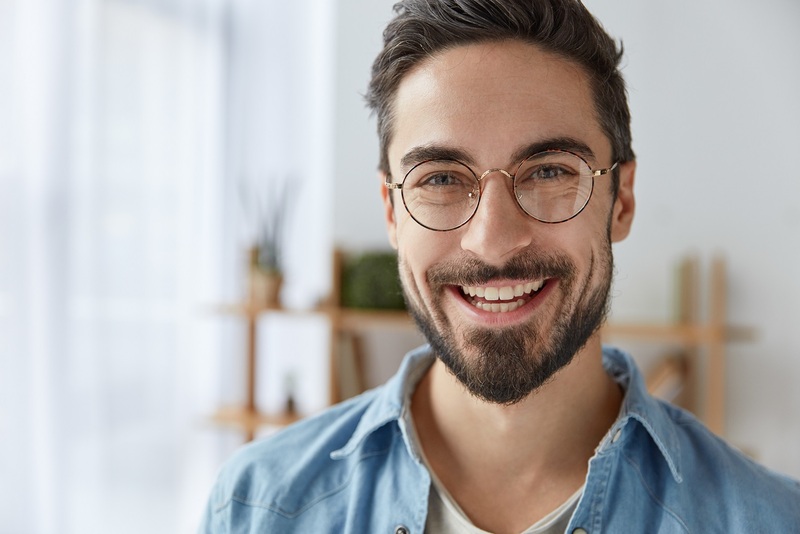 For more information, or to learn how laser dentistry can help you, schedule a consultation by calling Modern Smile in North Hollywood, CA, today at 818-763-9353. We also proudly serve patients who live in Burbank, Toluca Lake, and all surrounding communities. There are a few possible reasons why your gum line isn’t as even as it should be. Known as a gummy smile, the excess gum tissues covering one or more of your teeth can dramatically impact your smile’s appearance, though many patients hesitate to correct it because they aren’t sure how. Fortunately, your dentist offers an innovative, minimally invasive, and highly precise method of fixing your gummy smile – laser gum contouring. Why Should You Address It? The biggest reason patients seek to fix their gummy smiles is appearance. 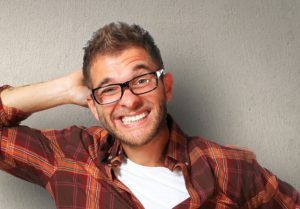 When you aren’t confident in your smile’s appearance, you’re less likely to show it and your self-confidence can suffer. However, there are practical oral health reasons for correcting a gummy smile, as well. For example, when your gums aren’t evenly spread over your teeth roots, they’re harder to keep clean of harmful oral bacteria and food particles. That means your risks of gum disease are more likely, as are your risks of losing teeth to the disease. Why Are Lasers a Better Option? Traditionally, gum contouring has been a minor surgical procedure involving the careful trimming of your gums with the use of a scalpel. However, we can perform most gum contouring procedures using the advanced BIOLASE® Epic X laser. Compared to conventional surgery, the laser produces more precise (and therefore more esthetically pleasing) results, and the process is significantly more comfortable. Most patients don’t require sutures afterward, which means the healing process is also more comfortable and involves a much lower risk of infection. With laser dentistry, you can finally fix your gummy smile in a comfortable and non-invasive manner. To learn more, schedule a consultation by calling Modern Smile in North Hollywood, CA, today at 818-763-9353. We also proudly serve patients who live in Burbank, Toluca Lake, and all surrounding communities. How Does Gum Contouring Actually Work? Gum contouring is cosmetic dentistry’s answer to correcting the appearance of a gummy smile. By carefully and artistically trimming excessive gum tissues, your dentist can significantly improve your smile’s appearance as well as other aspects of your oral health. Today, we examine how gum contouring actually works, and why using lasers to accomplish the procedure can provide even more benefits for your smile and periodontal health. A gummy smile describes a smile in which the gums cover too much of one or more of your teeth. This can make those teeth seem smaller and your whole smile seem asymmetrical, which dramatically impacts its esthetic value. The point of contouring your gum line is to surgically trim away the excess tissues to expose the appropriate amount of structure for each tooth. This creates a symmetrical frame around your smile to match the healthy, beautiful appearance of your teeth, and it also helps improve your overall periodontal health. In many cases, gum contouring can be performed with the use of advanced, specially calibrated laser technology rather than a traditional scalpel. The soft-tissue laser is designed to safely and accurately trim soft oral and periodontal tissues and can achieve amazing results faster and with significantly more comfort. Laser contouring is also more precise, so the results of your treatment will be more lifelike and complement your smile with a more esthetically pleasing gum line. Gum contouring can do wonders for improving a gummy smile, and with the help of advanced lasers, those benefits are even more significant. To learn more, schedule a consultation by calling Modern Smile in North Hollywood, CA, today at 818-763-9353. We also proudly serve patients who live in Burbank, Toluca Lake, and all surrounding communities. While you can successfully prevent most common issues from threatening your smile, there are some things you may still have to deal with from time to time. For instance, even when your teeth are healthy and free of decay, they can still become stained and dull over time compared to their youthful, healthy appearance. Fortunately, erasing common teeth stains and restoring that youthful appearance is typically an easy and comfortable experience, especially with the help of laser-assisted teeth-whitening. Teeth-whitening consists of a powerful but safe solution that your dentist applies evenly to the surfaces of your teeth. The peroxide-based solution gently but effectively breaks up the deposits on your teeth surfaces that are causing them to stain. It also brightens your main tooth structure so that your smile is not only stain-free, but also as bright and appealing as ever. Can I really whiten my teeth in one visit? At our office, we offer a choice of teeth-whitening options, which you can either take home and apply at your convenience or complete during a single visit to our office. 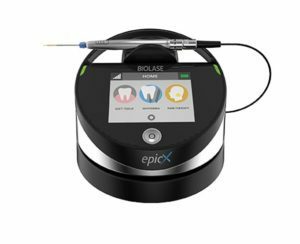 To perform the in-office treatment, your dentist will utilize the advanced Epic X dental laser to stimulate the solution into rapidly breaking up and removing stain deposits. In most cases, treatment can be completed in just over an hour. How often do I need teeth-whitening? Once you’ve whitened your teeth, the results can last for years, depending on how well you care for your smile afterward. However, your teeth may stain again and require another whitening touchup. If you visit your dentist at least once every six months for checkups and cleanings, then he can help you determine when it may be best to consider teeth-whitening again. Teeth-whitening can brighten your smile quickly and effectively, especially with the help of the innovative Epic X dental laser. To learn more about laser-assisted teeth-whitening, schedule a consultation by calling Modern Smile in North Hollywood, CA, today at 818-763-9353. We also proudly serve patients who live in Burbank, Toluca Lake, and all surrounding communities. When it comes to your dental health care, advanced technology is more than just a trend. Most dental technologies are designed specifically to make caring for your smile easier and more effective, such as the advanced BIOLASE® laser that can be used for most periodontal and soft-tissue procedures. Aside from the fact that lasers are cutting-edge technology, the specially calibrated BIOLASE® system is most notable for the improved comfort, convenience, and overall results that the laser brings to your dental treatment. The BIOLASE® dental laser can be used to replace a traditional scalpel for a variety of procedures. One of the most common of those procedures is gum contouring and periodontal maintenance. If your gums cover an excessive amount of tooth structure or are uneven across your smile, then your dentist can use the BIOLASE® laser to expertly and precisely even out your gum line, all without the need for a scalpel. Laser dentistry offers several different benefits, including being a comfortable and convenient way to improve your smile’s appearance. For example, the laser not only performs your procedure with improved precision, but also greater safety and lower risk of infection. BIOLASE® boosts healing by minimizing the procedure’s effects on surrounding tissues, and the heat from the laser kick-starts your tissues’ healing properties. For improved long-term results, laser treatment can also boost your oral health by eliminating a majority of harmful oral bacteria underneath your gums. Our innovative BIOLASE® technology allows us to bring the precision and comfort of high-tech lasers to a range of common dental treatments. To learn more, schedule a consultation by calling Modern Smile in North Hollywood, CA, today at 818-763-9353. We also proudly serve patients who live in Burbank, Toluca Lake, and all surrounding communities.